The Armidale class patrol boats is a class of 14 boats which were commissioned the period 2005-2008 in the Royal Australian Navy. 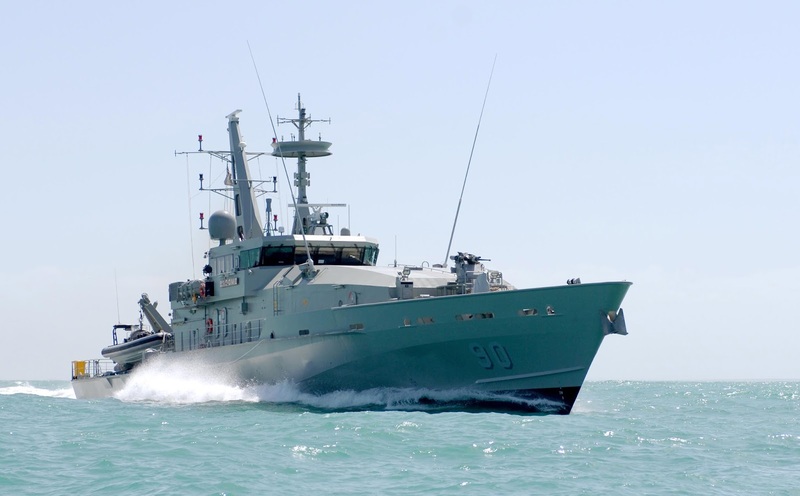 The boats were built in order to replace the 15 aging boats of the Fremantle class that entered service the period 1980-1984. 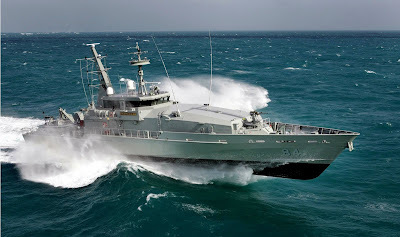 Of the seven proposals tendered, the Austal Ships/Defence Maritime Services (DMS) proposal for twelve vessels based on an enlarged Bay-class patrol boat was selected. Two additional patrol boats were ordered in 2005 to provide a dedicated patrol force for the North West Shelf Venture. 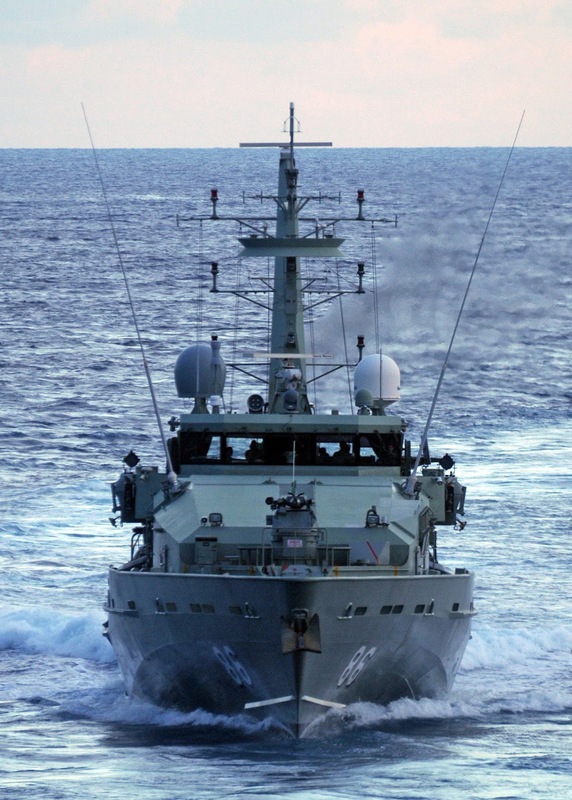 The vessels were built at Austal's Henderson shipyard near Freemantle. 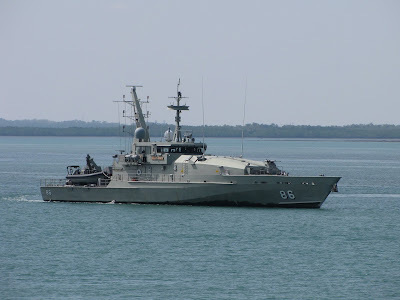 The Armidale class ships are operated by the Australian Patrol Boat Group, and based in Darwin. They are primarily tasked with border protection, fisheries patrols, and the interception of unauthorised arrivals by sea. 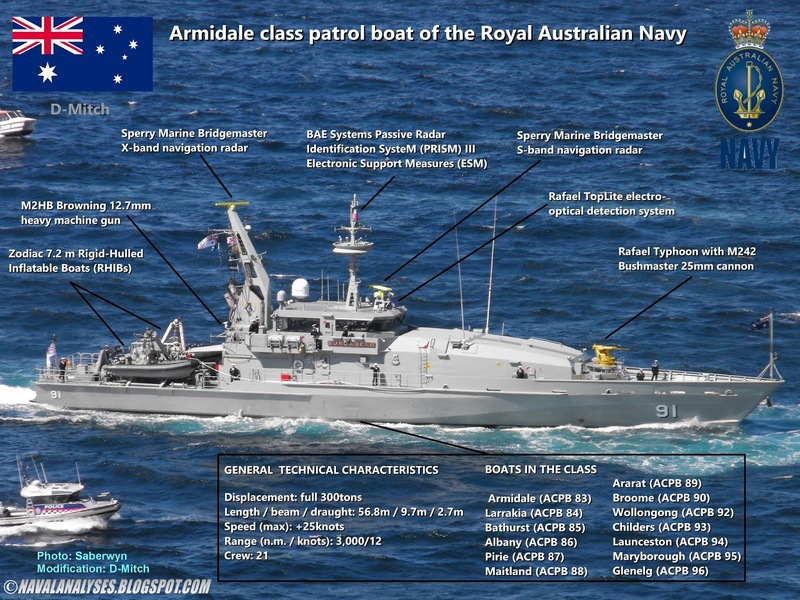 The Armidales are longer and heavier than their Fremantle class predecessors, with improved seakeeping ability and increased range, allowing them to reach Australia's offshore territories. Initially, the ships are multi-crewed, with three ship's companies available for every two vessels, allowing allows the patrol boats to spend more time at sea without cutting into sailors' rest or training time. The last years however, are no more multi crewed . The Armidale Class Patrol Boats have trim tabs attached to the trailing edge of the hull. These are used to change the pitch angle of the boat while moving to help provide smoother travel and can be adjusted to keep the boat at a comfortable and efficient angle at different speeds. The boat's hydraulic stabiliser fins are mounted either side of the hull under the waterline. These can pivot to change their angle off attack to the passing water, and are used to counteract the lateral roll of the boat caused by wind or waves. These hydraulic stabiliser fins and trim tabs incorporated into the design, allow them to survive conditions up to Sea State 9. 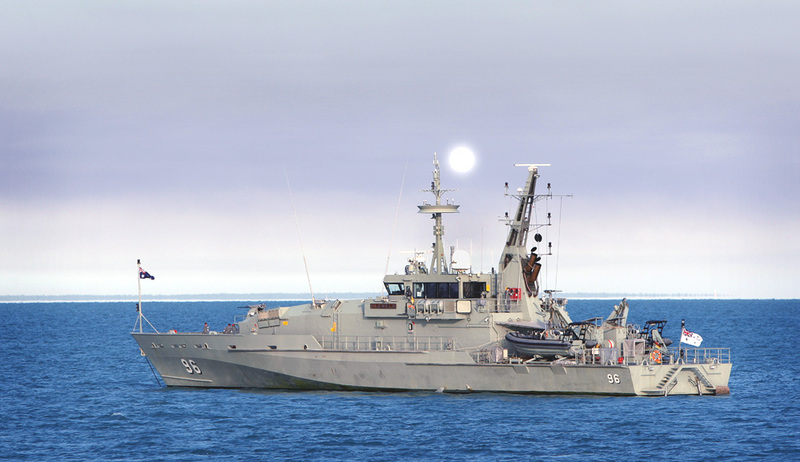 Modified photo of an Armidale class patrol vessel of the Royal Australian Navy. For a high resolution image click here. One boat, HMAS Bundaberg has been decommissioned after a large fire broke out on the ship while she was undergoing refit at Aluminium Boats Australia (ABA), a civilian shipyard in Hemmant, Queensland. 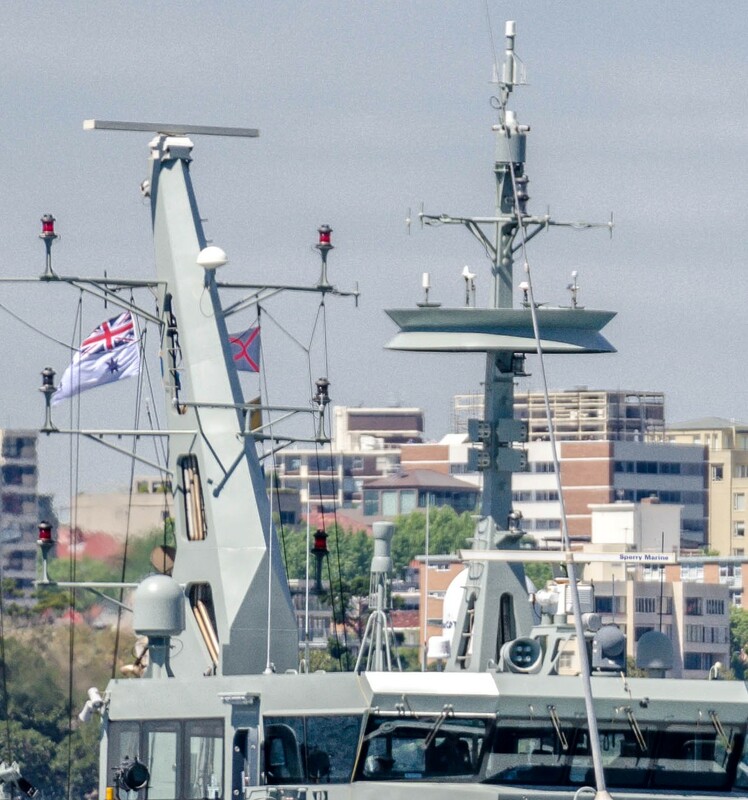 The ship was extensively damaged in the blaze, and on 18 December 2014, Bundaberg was ceremonially decommissioned at the naval base HMAS Cairns, with the patrol boat's ensign lowered for the final time from the base's flagstaff. Aft view of HMAS Albany. Notice the two RHIB at the stern. The general characteristics of the class is a displacement of 300tons, length of 56.8m, beam of 9.7m, maximum speed of more than 30knots and a range of over 3,000n.m. with a cruising speed of 12knots. The ship has a crew of 21 persons while there is accommodation for 20 additional crew members. The endurance of the vessels is 21 days at sea between replenishments (minimum) with a maximum endurance of 42 days. 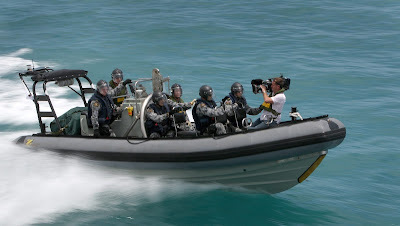 Each boat carries two waterjet propelled Zodiac Rigid-Hulled Inflatable Boats (RHIB) which carry ten people (a fully equipped, eight-strong boarding party, and two boat crew. The RHIBs are larger and more powerful than the single RHIB aboard a Fremantle, are capable of operating independently of their mothership, and carry their own communications, navigation, and safety equipment. 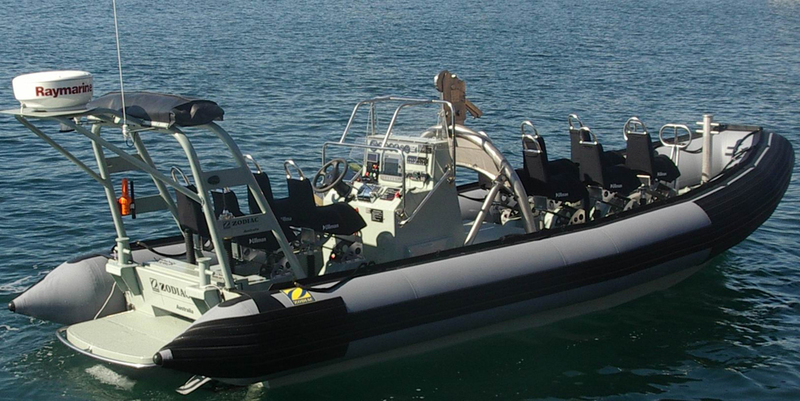 Each RHIB has a dedicated cradle and davit, the boats can be launched and recovered easily, and a centralized 'dressing room' incorporated into the ship's design has streamlined the deployment and return of personnel. You can explore the vessel's compartments in a 360° tour, here. 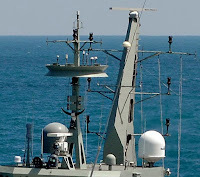 In comparison with other vessels of similar length such as the Machitis class patrol boats of the Hellenic Navy or the Cyclone class of the United States Navy, the Armidales have a very light armament as well electronic equipment with only a pair of navigation radars and a single electro-optical sensor. 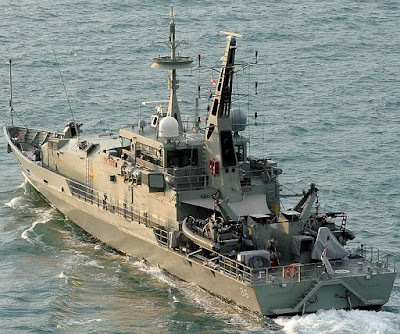 In contrast, gunboats such as the vessels of the Machitis class carry a heavy armament consisting of a 76mm gun, a 40mm gun and two 20mm guns while they are equipped with more than two navigation radars, a surveillance radar, decoy launchers and rails for mines. 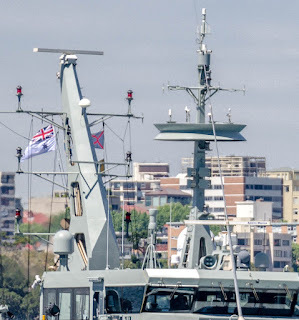 The main armament of the boats is a Rafael Typhoon fully stabilised naval gun mount with an M242 Bushmaster 25mm chain gun, a proven NATO standard auto cannon with 2.5 km range and selectable rates of fire. 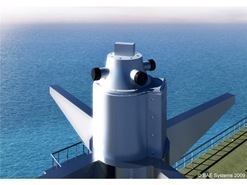 The gun has a rate of fire of up to 180 rounds per minute with 168 rounds on-mount. 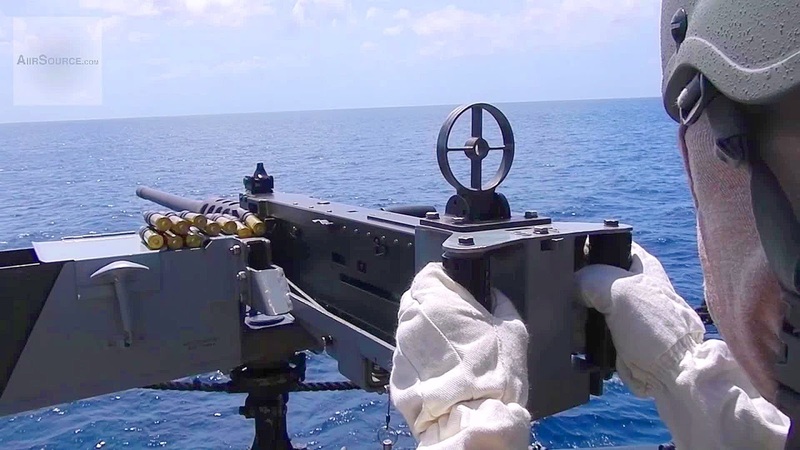 The gunner can choose to operate the gun manually or automatically using a fire control console mounted inside the ship's bridge. Fire control is provided by a Rafael Toplite stabilized multi-sensor ball with electro-optical TV, laser rangefinder, and infrared sensor. 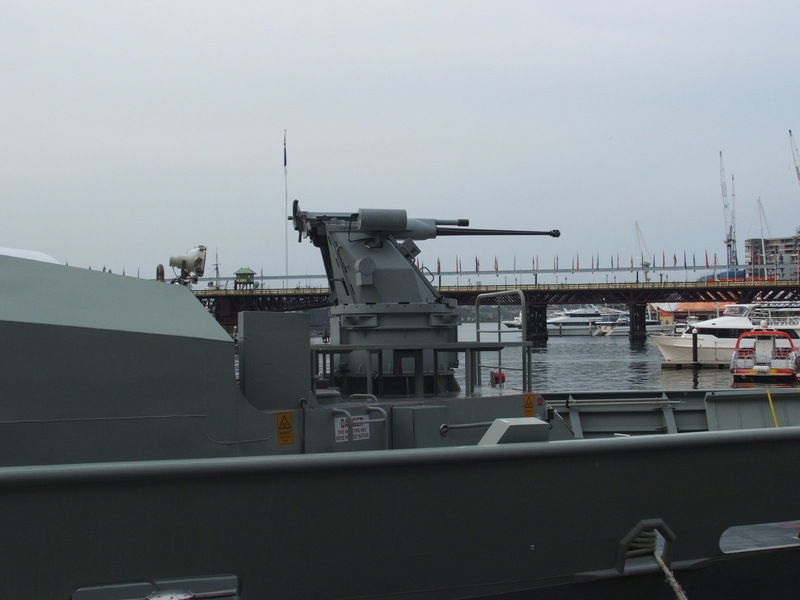 The mount allows the boat to lock-on and fire-on-the-move without a standing gunner behind the gun, and to fire in nighttime and adverse weather conditions using the stabilized sensor ball. 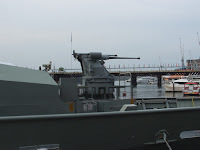 Except the 25mm gun, each boat is equipped with two M2HB of 12.7mm heavy machine guns. The M2HB (Heavy Barrel) has a maximum (effective) range of around 1,830m and a cyclical rate of fire of about 500-600 rounds per minute. Bow view of HMAS Albany. 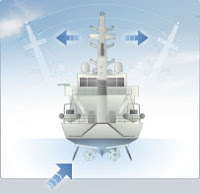 The electronic protection of the boats carries out a BAE Systems' Passive Radar Identification SysteM (PRISM), an Electronic Support Measures (ESM) system which performs a critical role in intelligence gathering and self protection. 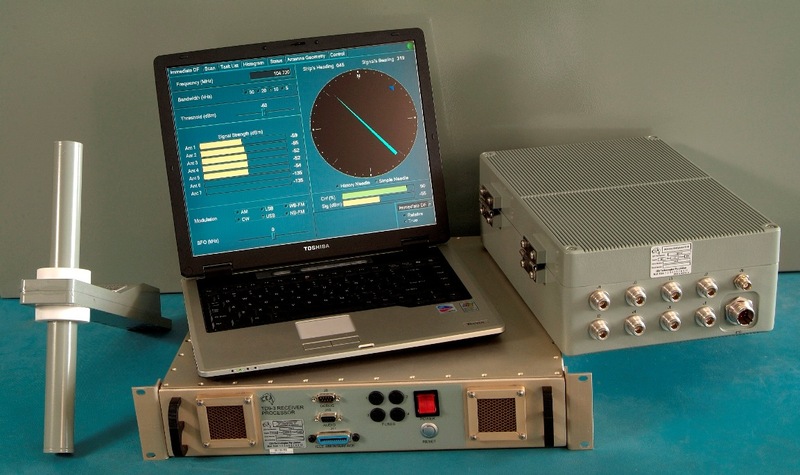 PRISM automatically detects, direction finds and classifies emitters operating in the microwave frequency band, giving extended situational awareness and immediate warning of potential threat emitters. The boats are equipped also with a CEA Technologies Warrlock direction finding system. Based on correlative DF assessment concepts, the system combines high performance and reliability with an exceptionally compact layout and a simple man-machine interface. It consists of a broadband Active DF Antenna System using up to 8 antennas, an Antenna Multiplexer and a DF Receiver. 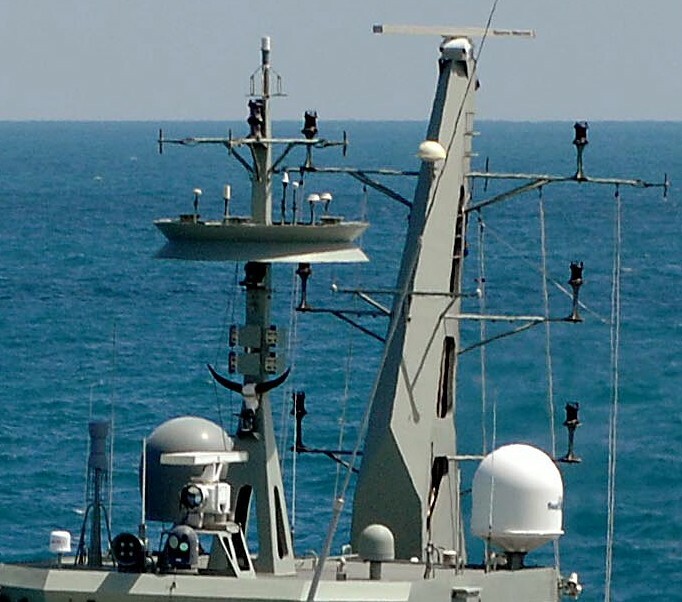 The Armidales are fitted with a pair of Bridgemaster E surface search and navigational radars (X-band and S-band). 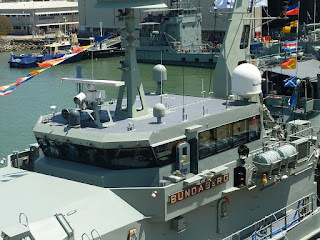 The electronic equipment of HMAS Broome (ACPB 90). During their early service life, there were problems with the fuel systems across the class, and a 20-bunk auxiliary accommodation compartment has been banned from use after toxic fumes were found in the compartment on multiple occasions. 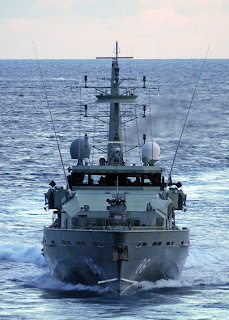 The high operational tempo from the Operation Resolute and Operation Sovereign Borders border protection and asylum seeker interception operations, combined with design flaws related to the aluminum hull and poor maintenance, resulted in the ships suffering from hull fracturing around the engineering spaces, mechanical defects, and corrosion issues. 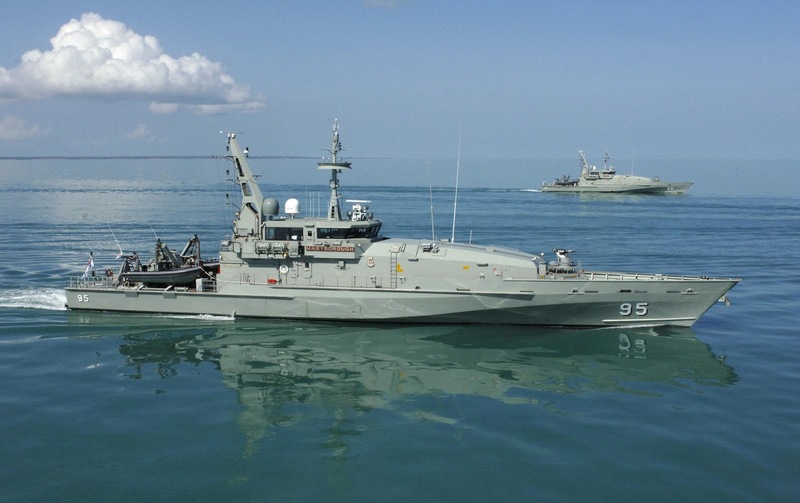 DMS's contract to provide in-service support will be terminated in 2017, and the patrol boats, two at a time, are undergoing a major mid-life refit in Singapore to reinforce the hull. 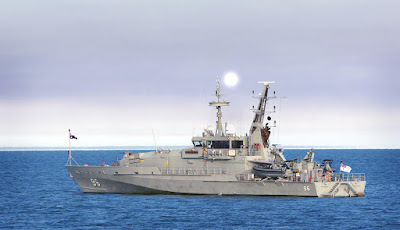 Two Cape-class patrol boats, Cape Byron and Cape Nelson have been chartered, from mid-2015 until the end of 2016, to supplement naval patrol boat availability during the refit cycle, and plans to replace the Armidales with an enlarged class of offshore combatant vessel have been accelerated to bring them into service by the early 2020s. 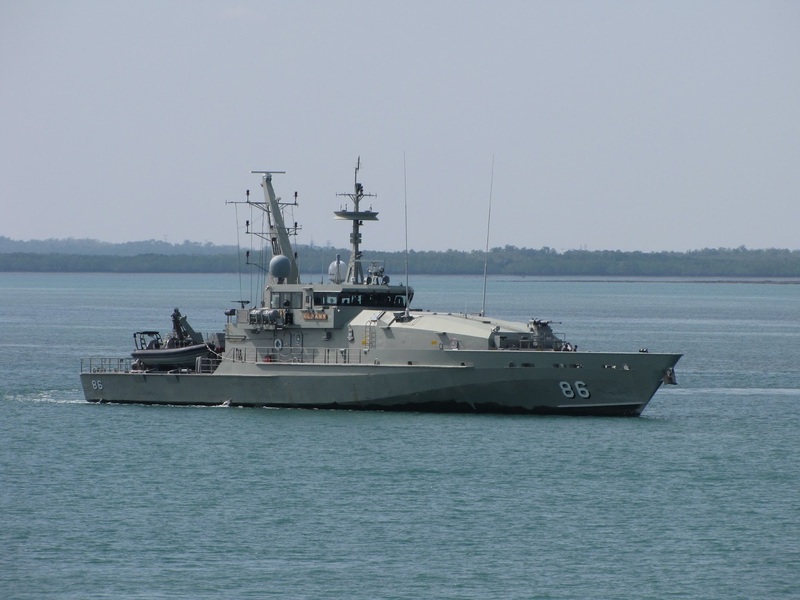 The two Cape class boats are based in Cairns and they are multi crewed.